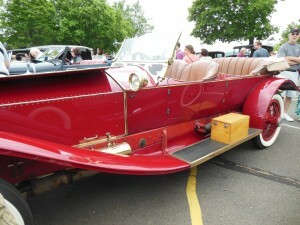 Somehow I heard about the Klingberg Vintage Motorcar Festival. It takes place on the grounds of the Klingberg Family Centers, an organization that has served children and families since 1903. The June 20 date was the same day that I was supposed to manage a previously scheduled VE exam. My friend Bob Beaudet solved that problem by agreeing to fill in for me. I really wanted my wife (not exactly a car nut) to go with me. She agreed on the condition that we did not take the ’41 Buick Roadmaster. I could live with that (this year). The weather had to be good. I had no control over that one. Well, the weather was perfect and so was the day. We pulled in to the New Britain Rock Cats Stadium, parked the VW Beetle (lots of parking space), and took a shuttle bus ride (no charge) to the Klingberg Family Centers on Linwood Street. Admission for seniors was only $10 each. That included a glossy program book and a ballot for the spectator favorite car. The center is on beautiful grounds high atop the city of New Britain. Panoramic views of the countryside were at every turn. 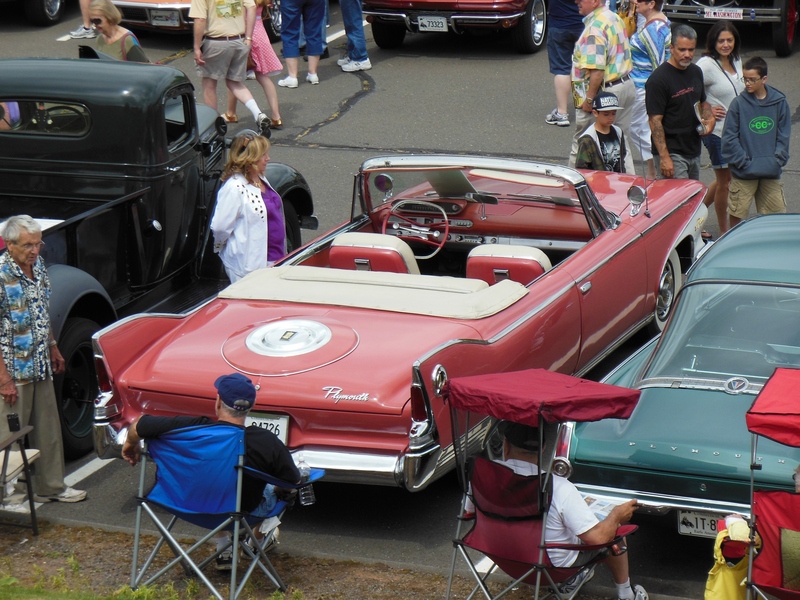 The number and quality of vehicles was overwhelming! 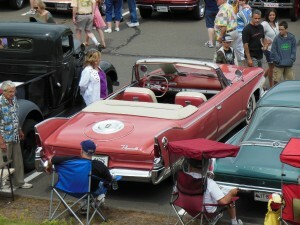 The displayed cars were almost exclusively all original or mostly original factory vehicles. 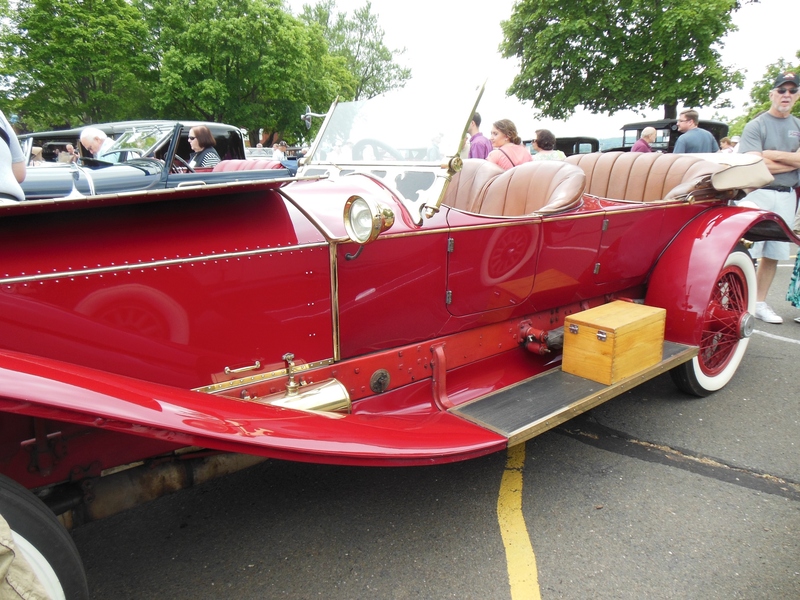 Although I do appreciate custom automobiles, it’s the originals, restored or unrestored, that I like the best. When I look at an old car I want to see an old car that displays what the original purchaser saw. It is the variety of early technology and style that interest me the most. That is what was on display at this event. 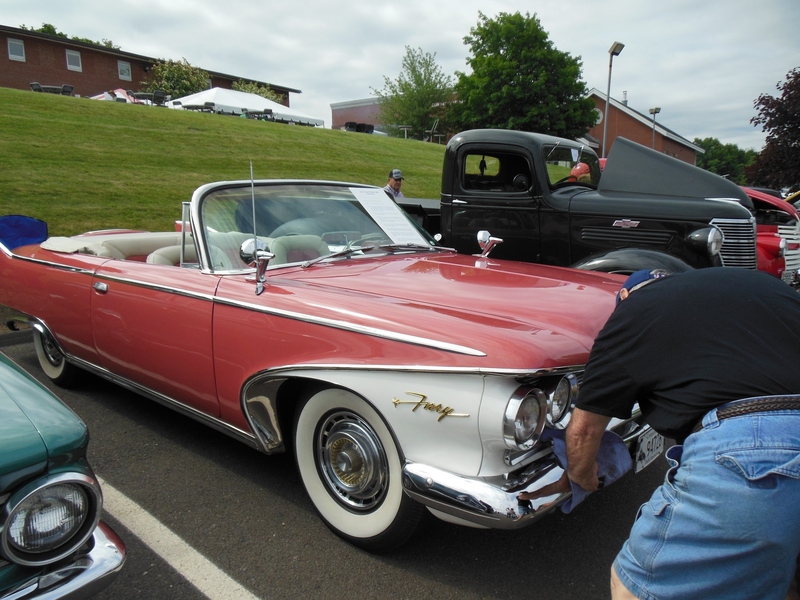 Everything from an air-cooled Franklin, a fully restored Stanley Steamer, and several original ’32 Ford coupes to the incredible luxury and style of a 1960 Plymouth Fury convertible. It was all there. The best part of the day was near the end of our stay. We had just walked to the back field so as to deposit our spectator choice ballot at one of the tents. We had already attended the opening ceremony on the front porch of the main building. There we saw Wayne Carini and his daughter address the crowd. We did not expect to see Wayne again. 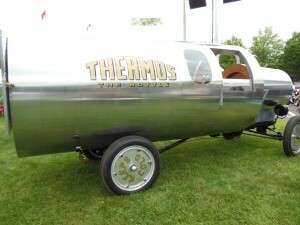 Suddenly my wife pointed out to me the Chasing Classic Cars tent. Wayne is a real gentleman and I was thrilled to meet him. He even cued my wife as to when to click the photo. 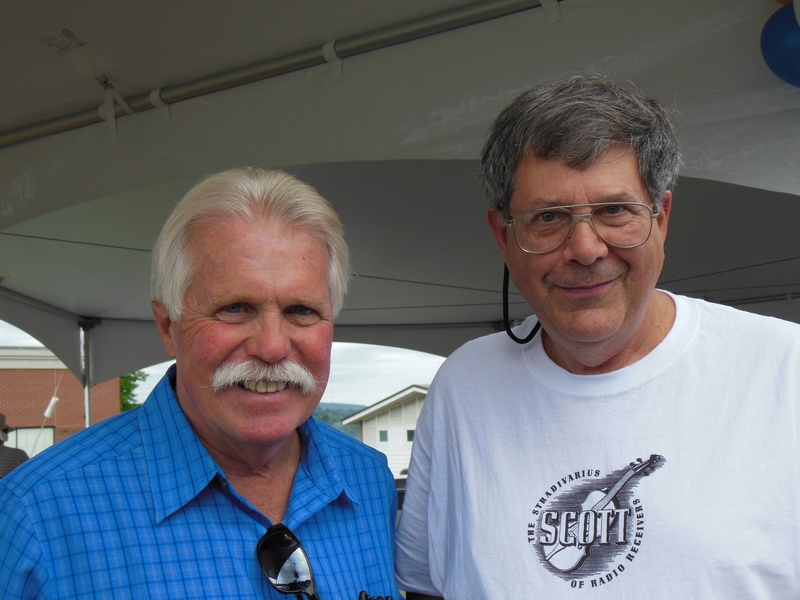 Notice the shirt I am wearing, an unintentional but welcome product placement for E. H. Scott radios, another hobby of mine. Wayne was standing in the tent and greeting a small line of well-wishers. My wife Camille encouraged me to get in line (there was only one person in front of me) and go speak with Wayne. I handed my camera over to her and she quickly got it ready for a possible photo opportunity. Wayne and I spoke for a few moments. I found him to be a genuinely friendly and authentic person. He was obviously there to have an enjoyable day and to donate his time to the Klingberg Family Center. He helped make a good day into a great day! 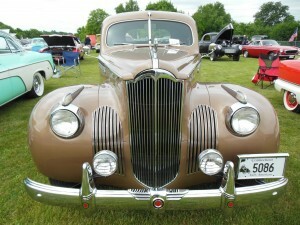 One of my special interests is Buicks since I own a 1941 Roadmaster. There was not a single 1940’s era Buick at the show (if it was I missed it … very unlikely) but that is not to say that there were no interesting Buicks. 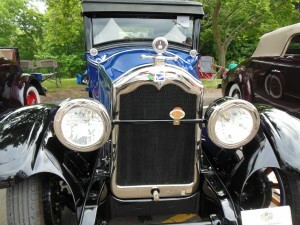 The one I was most impressed with was a 1925 model. It was huge and beautiful! The owner’s son (recently back from military tours of duty in several countries including Afghanistan) was gracious enough to tell me about its history. 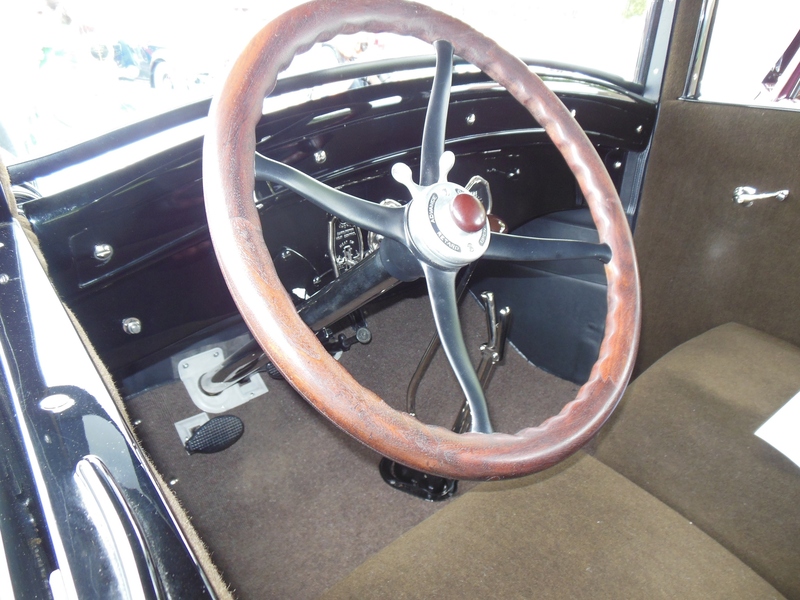 This particular model is the result of a complete ground up restoration that was completed about seven years ago. Imagine purchasing this gem way back in 1925! The interior of the Buick is a bit spartan but roomy. Notice the spark advance lever and all the nickel plating. 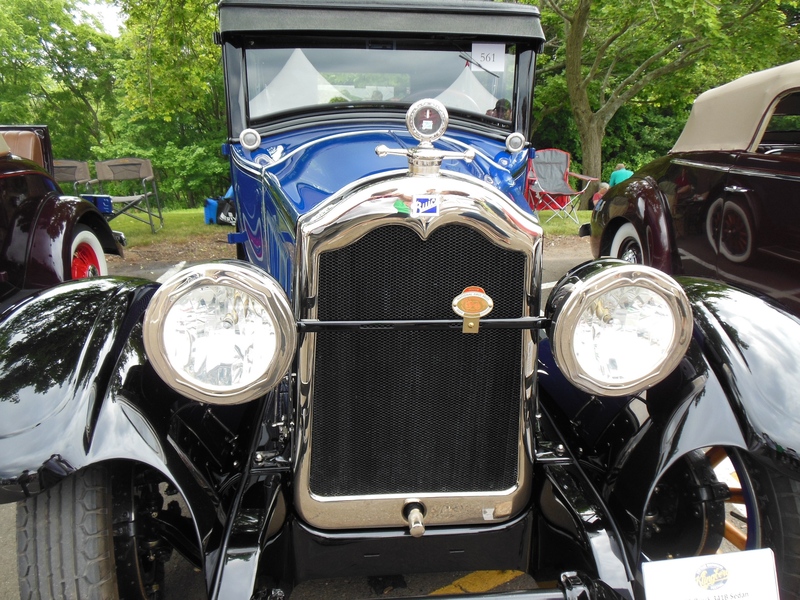 This 1925 Buick has presence! 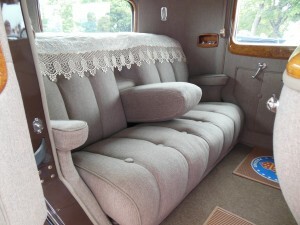 Click on the link in the text to learn all about the restoration it went through. What an impressive paint job! This is one car that you can step into without hitting your head. 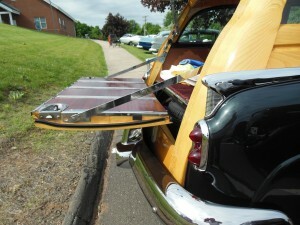 Also notice the generous running board. 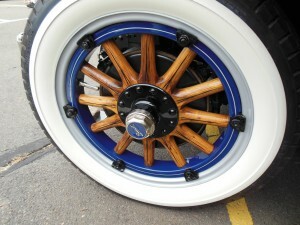 The spoke or artillery wheels looked great. 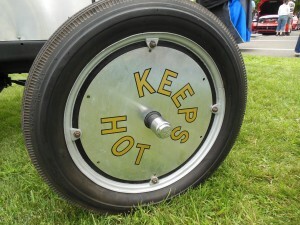 The bright metal disk in the middle is what I would call a real “hubcap”. A more modern Buick that caught my eye was a gorgeous 1952 Roadmaster Estate Wagon. That’s right, a woody. 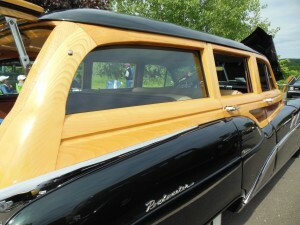 It reminded me of the old 1947 Mercury woody I once owned. Everything on such a car is deluxe, right down to the detail interior woodwork. This car has the same straight eight engine as my ’41, but with a single carburetor rather than the dual setup that was available in 1941. It also would have the foot-operated carburetor-mounted starter switch that I am interested in restoring on my car. 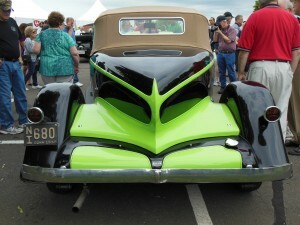 I was not able to photograph the switch since it was on the side of the engine that was covered by the hood. 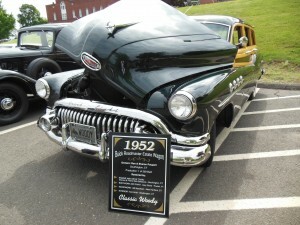 1952 Buick Woody – Check out that grill and the signature bumper! 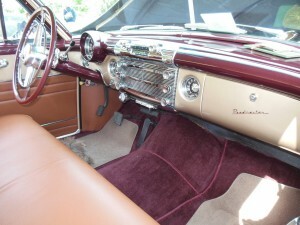 The designation on the glove box door confirms that it is a Roadmaster. It’s the famous Buick straight eight, very similar to the one in my 1941 Roadmaster. 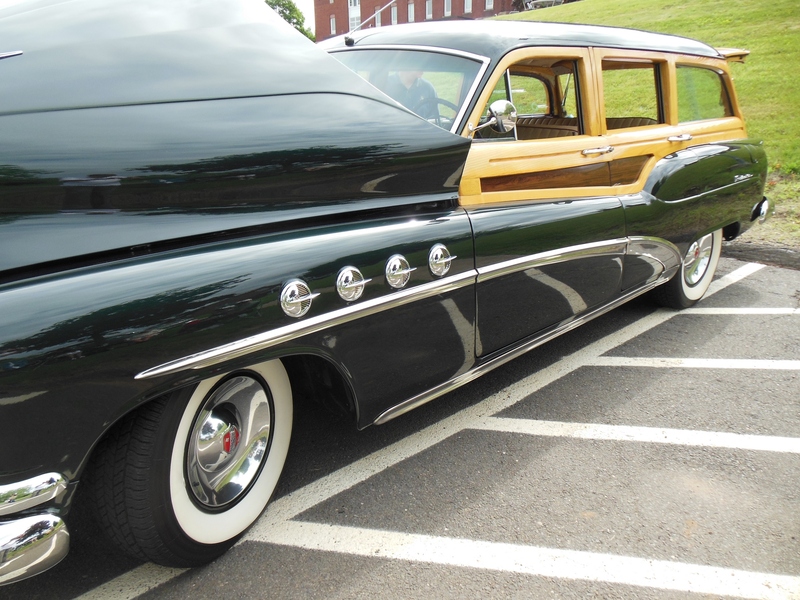 The four portholes say it is a Roadmaster. The maple says it’s a woody. That rear post is massive as is the top frame. These pieces look new. Wood panels on the inside and metal gate stops just like on a Ford. 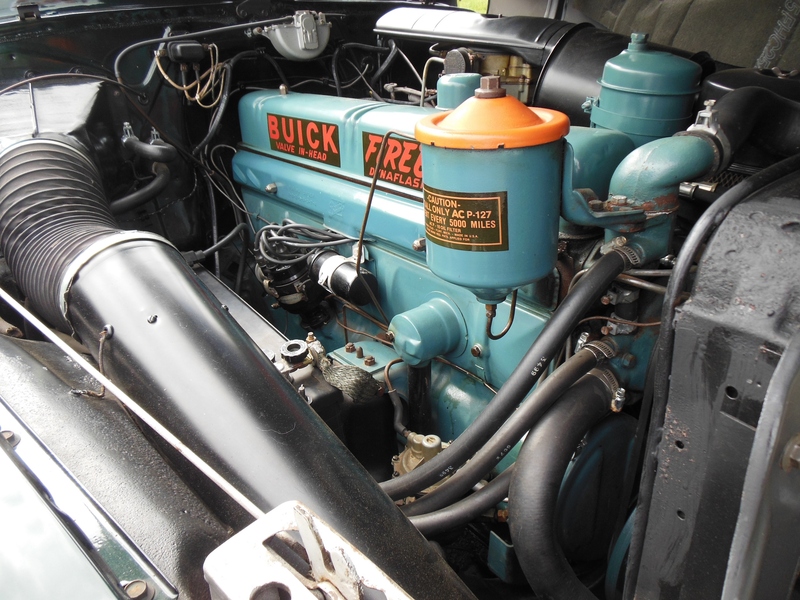 I was able to spot a mid-thirties Buick that did have the carburetor-mounted starter switch and managed to take a clear photograph of it. I am in the process of building up all the information I need before attempting to repair the one in my car. The two yellow wires leave the starter vacuum switch at lower left and travel to the starter solenoid relay. Depressing the accelerator pedal moves the accelerator rod which engages the vacuum switch. The relay is now energized and the engine cranks. As soon as it starts manifold vacuum retracts a ball in the starter vacuum switch and breaks the contact. 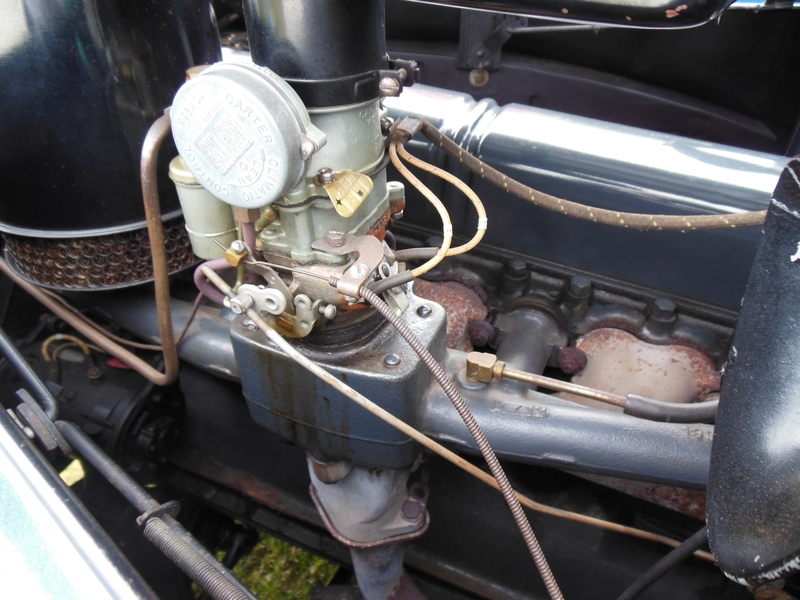 This switches off the solenoid so that the starter will not crank while the engine is running. What a great idea! 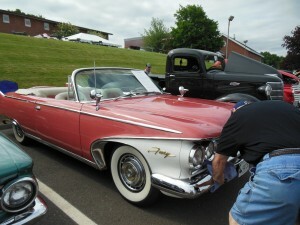 My favorite car at this event was a 1960 Plymouth Fury. The owner gave me a guided tour around the car. He pointed out to me a chrome strip that encircles the front end, including fender wells, and is duplicated in the rear of the car. The steering wheel is of a modified square shape with the most intriguing horn arrangement I have ever seen. The interior has amazing decoration and detail but it all blends in extremely well. This is a car I could put in my garage (although I would be light by over $100,000 or so). 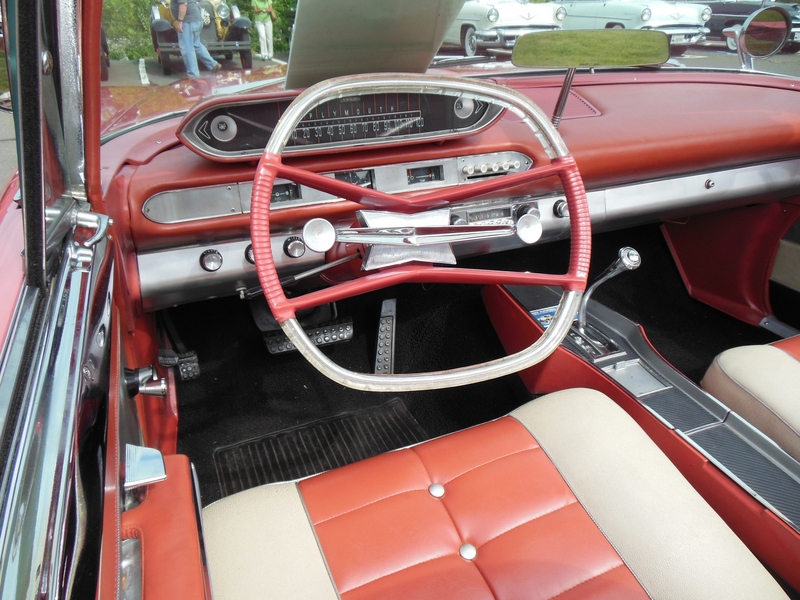 It’s a 1960 Plymouth Fury in superb condition. What a ride! 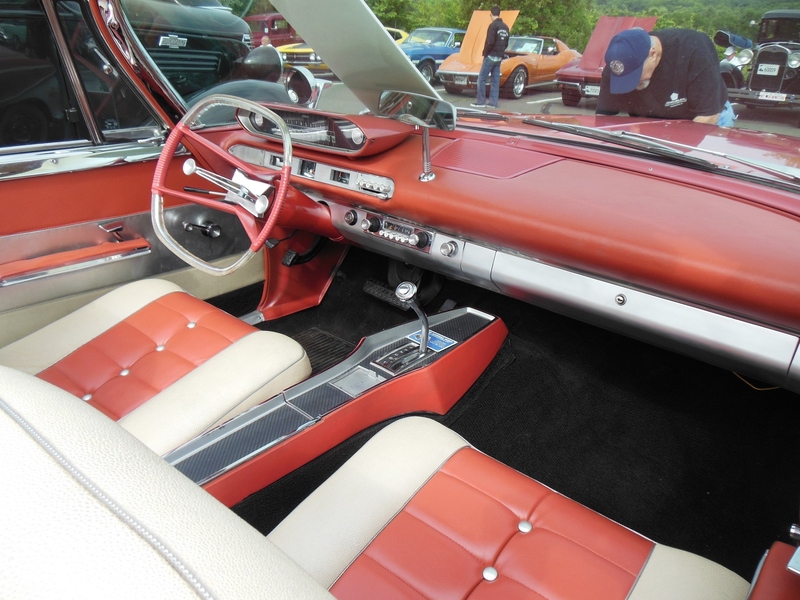 So many colors and chrome accents, even in the seat material. And it all works. If you enlarge only one picture by clicking on it, this is the one. Wow! This car even looks good from my distant vantage point on top of a hill. 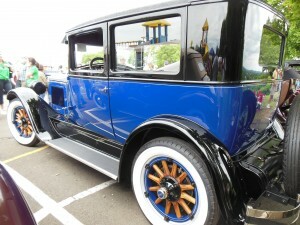 I took about 100 photographs of the show cars. I won’t attempt to display them all here but I will show you a few of the more interesting ones. If you plan to attend the show next year please note that the date will be Saturday, June 18, 2016. 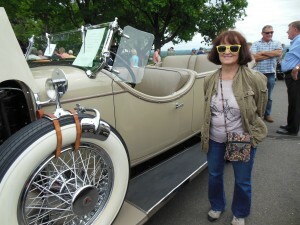 My wife sports a smile next to the Stutz. 1921 Rolls Royce Silver Shadow .. Massive! 1932 Auburn Boattail Speedster. What color! 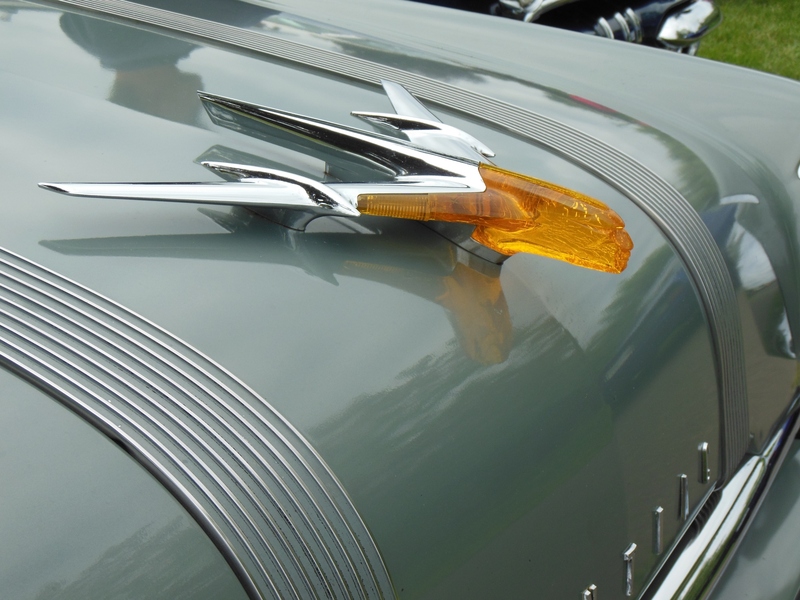 Pontiac hood ornament – my all time favorite. The Thermos Truck of 1925. What a great surprise! Now that is a wheel! All trucks should have these. A Packard 120. I believe it is from 1941. 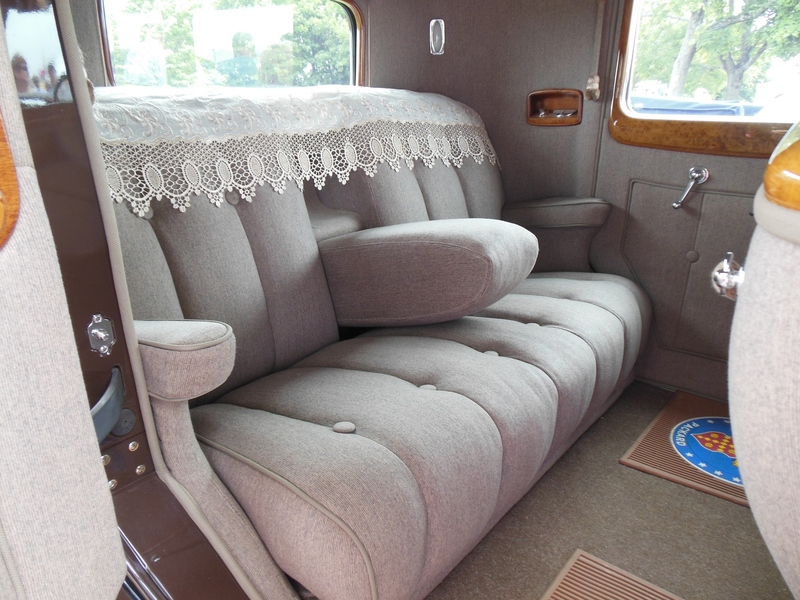 Packard 120; I could sit in this rear seat all day! 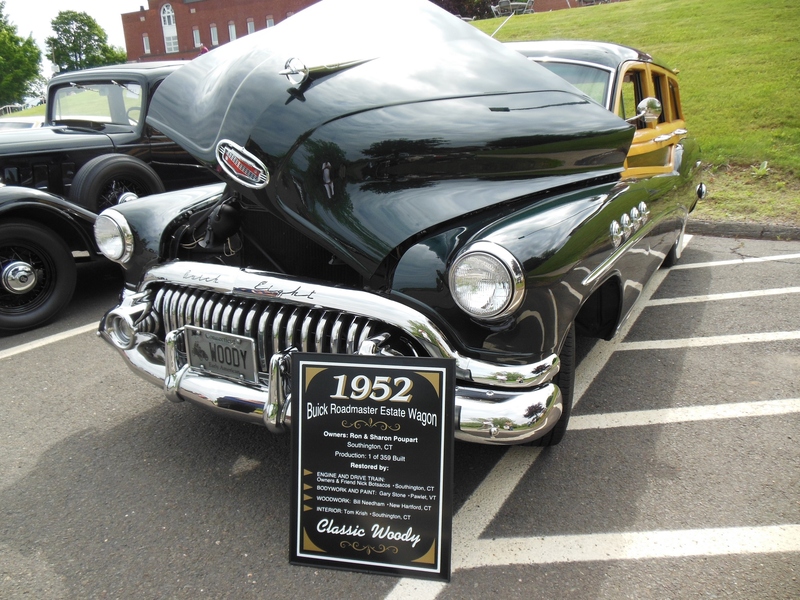 This entry was posted in 1941 Buick Roadmaster, Occasional Commentary and tagged "New Britain", "Wayne Carini", antique, auburn, Buick, Connecticut, CT, Festival, Franklin, Fury, Klingberg, packard, Plymouth, pontiac, rolls, starter, stutz, switch, thermos, vacuum, vintage. Bookmark the permalink. Very nice, Looks like a lot of fun. Enjoyed the article very much. Thanks, Lee! Maybe I can convince you to attend the event next year. Are you going to the one that will be at the Coventry Library? That’s only 5 minutes from your home. I forget the date but if you Google Cruisin Bruce you will see a listing of all the upcoming events. If you want to go next year let me know as the time approaches. If I take the Buick It will be a lot more fun with you along. There will be an event at the Coventey Library soon. I will try to make it to that one.